The city is making all the right connections to secure the its future. There will be no city without people, and even the grandest of city rejuvenation schemes can fail without the requisite interest from investors, residents, and travellers. This is a fact that Birmingham’s city planners understand very well. 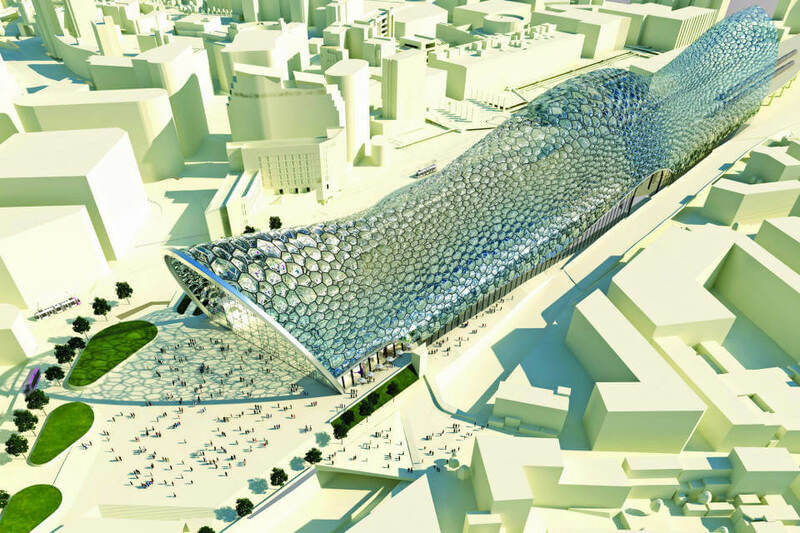 To keep the crowds coming, they have included an extensive blueprint for transport infrastructure development in Birmingham’s Big City Plan, an ambitious rejuvenation scheme that aims to secure Birmingham’s position as UK’s second most important city after London. The plan envisions more connections to the major highways that surround the city, extensive metro and light rail linkages, and a more comprehensive web of pedestrian connections that will bring human traffic to the city’s busiest nodes. To this end, Corporation Street was made bus-free in 2012, joining New Street, which was already a major walking route. A total of 28km of pedestrian walkways with dedicated cycling routes will be added gradually, connecting parks, retail streets, and scenic sections of the Birmingham canals, which runs through the city. Perhaps the most exciting transport development is the proposed High Speed 2 (HS2), a new high-speed rail network that will link Birmingham with Manchester, Leeds and London. The British government has already awarded 6.6 billion pounds in contracts for its construction. When completed in 2026, the HS2 will shorten the journey from London to Birmingham to 39 minutes. The historic Curzon Street terminal, the oldest surviving railway terminal in the world, will be rejuvenated and transformed into the Birmingham HS2 station and host an exhibition space and visitors centre. Within Birmingham, emphasis will be placed on developing public transport, with extensions to existing metro lines as well as the building of more Rapid Transit Routes linking the city’s core to the city’s fringes. The most significant phase of public transport development has already been completed – the new New Street station, unveiled in 2015 after a five-year renovation, that cost 750 million pounds and created more than 1,000 jobs. It now handles the five million plus visitors the station sees annually and links Birmingham to London in the South and Manchester in the North.